Quick summary: Bees pollinate at least a third of everything we eat and play a vital role in sustaining our ecosystems, therefore they need to be valued and protected. 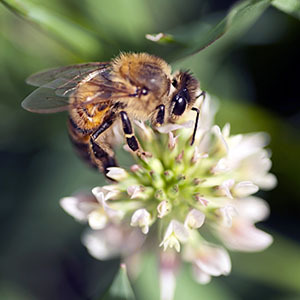 In this lesson, students will be introduced to the connection between bees, flowering plants and food through a range of activities. They will view a short explanatory video about the symbiotic relationship between bees and plants. Students use mathematics skills to explore interesting facts about bees. The class will then create a visual learning display by reading snippets of information about bees, their role as pollinators and our dependence on bees for food production. Students complete a mini maths problem to reveal information and then come up with questions that connect to the information they have read. 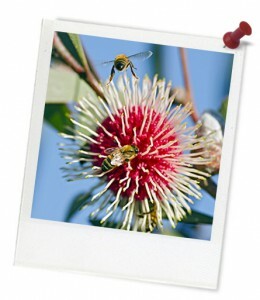 A set of visual prompts is provided to guide students to write a short piece that summarises their understanding of role of bees in food production. 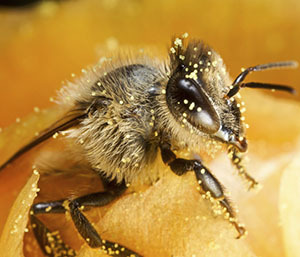 How do bees benefit flowers and human food production in their role as pollinators? 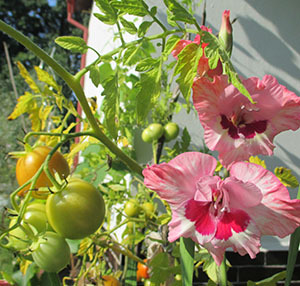 How do bees help flowering plants to reproduce? What role do bees play? How do bees support humans? Relevant parts of Year 5 English achievement standards: When reading, students encounter and decode unfamiliar words using phonic, grammatical, semantic and contextual knowledge. They listen and ask questions to clarify content. Students create texts for different purposes and audiences. They contribute actively to class and group discussions, taking into account other perspectives. Relevant parts of Year 5 HASS achievement standards: Recognise that choices need to be made when allocating resources. They describe factors that influence their choices as consumers and identify strategies that can be used to inform these choices. Relevant parts of Year 5 Science achievement standards: Analyse how the form of living things enables them to function in their environments. Relevant parts of Year 5 Maths achievement standards: Students solve simple problems involving the four operations using a range of strategies. Relevant parts of Year 6 English achievement standards: Students select and use evidence from a text to explain their response to it. They listen to discussions, clarifying content and challenging others’ ideas. Students create detailed texts elaborating on key ideas for a range of purposes and audiences. They make presentations and contribute actively to class and group discussions, using a variety of strategies for effect. Relevant parts of Year 6 HASS achievement standards: Explain why it is important to be informed when making consumer and financial decisions. Relevant parts of Year 6 Science achievement standards: Describe and predict the effect of environmental changes on individual living things. Relevant parts of Year 6 Maths achievement standards: Solve problems involving all four operations with whole numbers. Unit of work: Love Food? Love Bees! Resources required: Student Worksheet – one copy per student OR computers/tablets to access the online worksheet. Chalk-Talk Visible Thinking Tool print-out (one per group). Learning about bees – maths questions. Glue or sticky tape, Blu-Tack, sticky-notes. Hive of Reflection print-out. Projector and speakers. 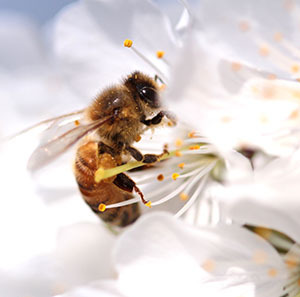 Keywords: bee, sustainability, collaboration, art, integrated, pollination, mutually beneficial relationship, symbiosis, food, consumption, biodiversity. 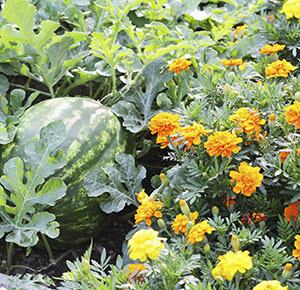 Overarching learning goal: Students will develop knowledge about the mutually beneficial relationship between bees, flowering plants and food. They will explore how humans benefit from this relationship. 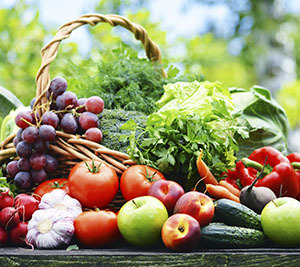 Thought Starter: We once grew food without chemicals. 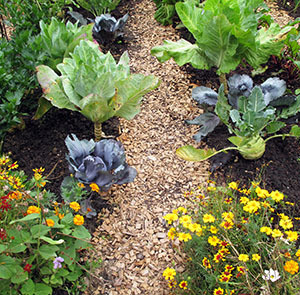 We never grew food without bees. 2. How do you think the pictures are linked? Write 2-3 paragraphs that explain your thoughts. 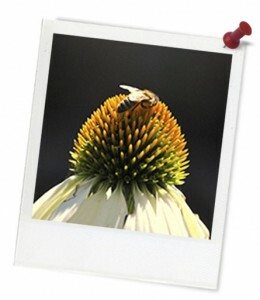 Hint: Think about bees, their (symbiotic) relationship with flowers, and how humans benefit from it. You could use the list of words below to help you decide what to include in your paragraphs. Try to include as many as possible in your paragraphs. How do the ideas you learnt today connect to what you already knew about bees, pollination and the food we eat? What new facts and ideas did you come up with today that extended your thinking or moved it in a new direction?